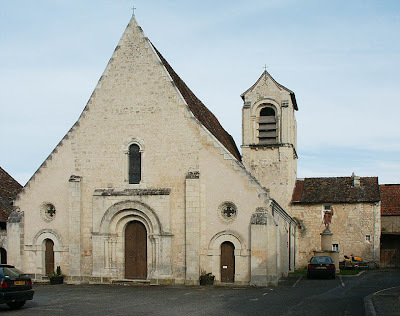 Another view of Boussay. 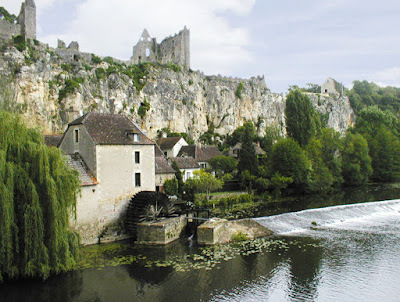 This is what I think of as a typical French village. 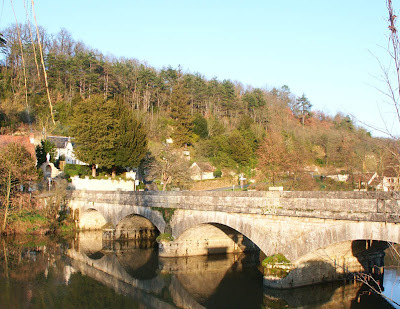 It's a village because it has a church, if it didn't have a church it would be a hamlet (hameau). 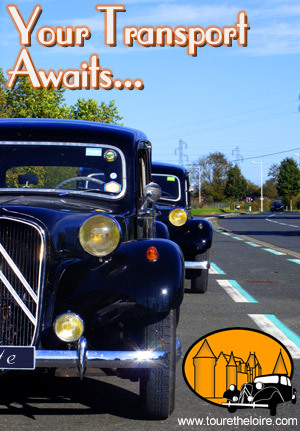 This I know - what I am not sure of is when a village becomes a town. Maybe two churches? 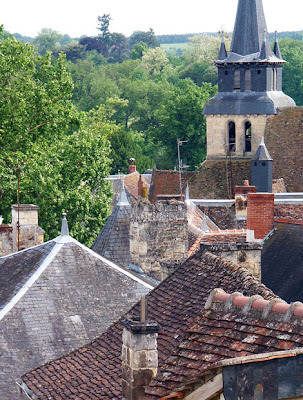 Le Grand Pressigny from the chateau. 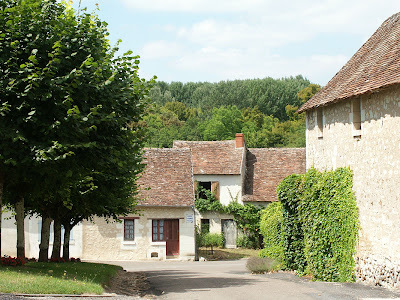 I am still sometimes surprised at how much woodland there is in France. Back to a theme - M. Galland assured us last visit that the roof would be done in June. Therefore I am thinking of roofs. 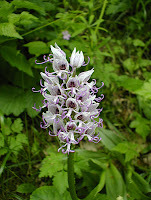 The Claise river valley has 34 species of wild orchids, out of the possible 41 species in Indre et Loire. The whole of Centre, with area roughly twice the size of Wales, has about 60 species - compare this to about 50 species in the whole of the UK. Many European species are chalk loving. 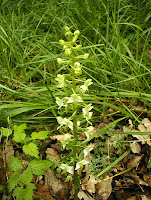 Without even trying, we saw 8 species of orchid during our week there in May. 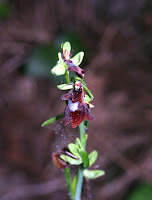 We discovered by chance that the hill behind Chaumussay is an orchid hotspot, but we only needed to step out of our own back door to discover one species. 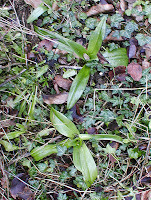 The mystery 'lilies' in our garden have turned out to be Lizard Orchids Himantoglossum hircinum - I was secretly hoping they would be orchids, and I hope M Galland doesn't squash them too fatally when work on the roof starts. They were not actually quite out when we left, so I had to remove and dissect a flower from one of the spikes in order to be positive. They have an extraordinary long 'tongue' (the lizard's tail, I suppose). 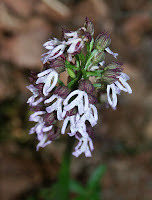 In French they are Orchis Bouc or Loroglosse à odeur de bouc ('bouc' is 'buck', which means that their French name translates as something like Billy Goat Orchid, so guess what they stink of?). I bought the excellent local orchid field guide Les Orchidées du Bassin de la Claise Tourangelle by Christian Mouline, and discovered that the Lizard Orchid is one species that has a high concentration in Preuilly - they clearly happily self-seed in peoples' lawns. 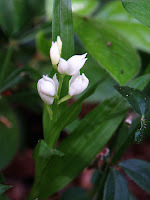 They are quite tall and robust as wild orchids go - the ones in our garden are a good 30-40cm tall, and they can grow taller. Chaumussay is the village on the Claise just downstream from Preuilly and on the limestone ridge behind, which has a dot on the grid map in the field guide for 13 species, we saw lots of Monkey Orchids Orchis simia (Orchis singe) - these get a big dot on the map at Chaumussay, indicating they are very common, Fly Orchids Ophrys insectifera (Orchis Mouche), a Narrow-leafed Helleborine Cephalanthera longifolia (Céphalanthère à longues feuilles), and Lady Orchids Orchis purpurea (Orchis pourpre ie 'purple orchid') - another robust species. 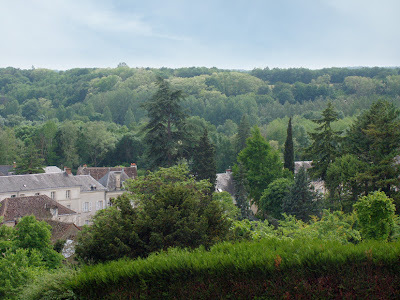 The hill behind Chaumussay is crisscrossed with paths to shrines, recreating Christ's journey to Golgotha. The paths are lined with Box Buxus sempervivens. Martine from Hotel l'Image had told us on our previous visit that Box is associated with remembering the dead, but I have not found out anything more about the connection. In the other direction, upstream from Preuilly, we saw a slightly different group of species, on the mown road verge just outside of Bossay-sur-Claise, again on a wooded ridge. 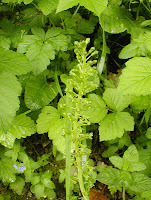 Here there were Common Twayblade Listera ovata (Listère à feuilles ovales - 'oval leaved orchid' - the English name is old English for 'two leaved'), Greater Butterfly Orchid Platanthera chlorantha (Platanthère verdatre or Orchis verdatre ie 'greenish orchid'), Monkey Orchids (which are just about ubiquitous - by far the most common species and to be seen wherever you go) and Man Orchid Aceras anthropophorum (Aceras homme pendu ie 'hanged man orchid' - more apt I think). The dots on the map indicate that there are 9 possible species on this site - but of course not everything flowers simultaneously, so we must visit regularly. 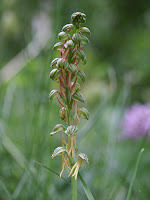 Having studied the field guide, it seems we have no orchids on the nationally protected list in the Claise Valley, but we have seen 2 of the species on the protected list for Centre (Man Orchid and Narrow-leaved Helleborine). 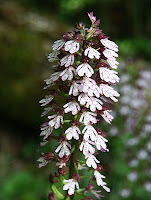 Military Orchids and Monkey Orchids are very closely related and can sometimes be very difficult to distinguish according to the books. Apparently the diagnostic for deciding which species you have is that the monkeys have longer willies than the soldiers.